Dr. Katy Yacovitch completed her DEC in Natural Sciences at John Abbott College in 2006. She then entered the 5 year Dental Preparatory program at McGill University, spending her first year studying in the Faculty of Science before entering the Faculty of Dentistry in 2007. Upon graduation in May 2011, she was awarded the Dr. A.W. Thornton Gold Medal for achieving the highest academic standing in each of the four years of dental school. 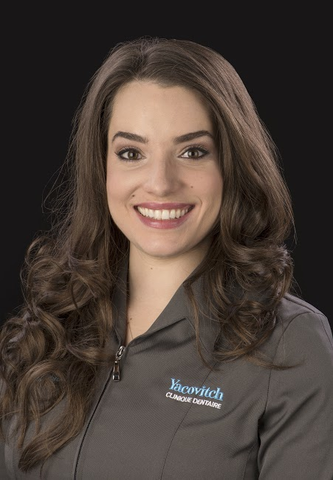 Eager to begin her career, Dr. Yacovitch has been warmly welcomed by the team at Yacovitch Dental.